Darren Jew joins PNG cruise! 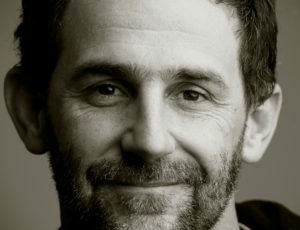 *Darren, you’re a 5-time Canon/AIPP Australian Prof Science, Environment and Nature Photographer of the Year, what intrigues you most about visiting the acclaimed Louisiade Archipelago (PNG) aboard TRUE NORTH this December? All destinations have their particular allure – maybe it’s the wildlife, the landscape, the history, the people. Exploring the Louisiades is a chance to capture all those things, in a truly remote part of the world. *As also a Canon master you’ve recently been involved with filming a TV series for National Geographic “Tales by Light”. What was the most significant memory or moment from your time in Papua New Guinea with them? We filmed a sequence where we set up a tripod on the sea floor at night and proceeded to use a torch to “light paint” the wreck of a Japanese bi-plane sunk during WWII. The project was very complex and had been in my mind for many years. Having it all come together after much negotiation and planning was very special. *With over 30 years of experience as an International expedition photographer, what do you believe assists you in getting a captivating image? The desire to create images that shed new light on the world, whether that’s new subjects, or new ways of seeing things, that is what keeps me photographing. *If there was one piece of photographic equipment that you could recommend for guests joining you aboard the Archipelago Adventure (13-18 December 2015), what would it be? A camera and an open mind. *What knowledge will you be sharing on this special expedition in Papua New Guinea? Photography is a never-ending process of learning. Whether someone’s picking up a camera for the first time, the hundredth, or the thousandth… there is always something to learn. I like to help people progress their knowledge of technique and creativity, so they’re taking better photographs every day… no matter their start point.